Now, I know this is a weird color for me to wear. It's way more "Amanda" than "Nichole". But my husband picked it out, so I had to give it a try. It's ok. I wish the purple was more wow in reality than it is. 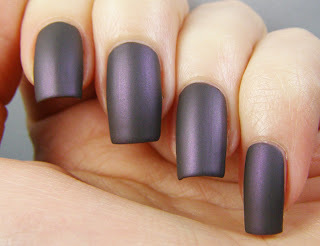 It is a dusty purple shimmer mixed with a charcoal gray. Very pretty...but just not "me". The formula is also weird: quite runny and a bit gloopy all at the same time. I used three full coats to cover the streaks. Thankfully, there are no brush strokes, which is a worry for me and shimmery colors. I love it, I'm just not in love with it. outside my lightbox, under the fancy lights. It sure is glossy. pinkish glow that I didn't notice before. 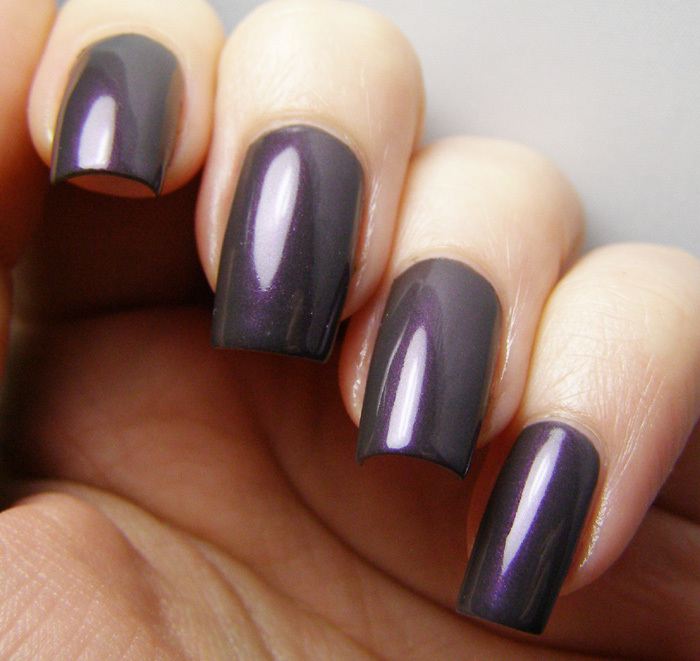 That is one of my favorites from the Sinful Shine collection. It looks pretty good on you! Thanks! It's a really pretty color...it just doesnt feel very "me". Ohhhh well I love it! A little like a Chanel of two years back, just more purple!